Candida albicans is a microscopic fungus that lives in human hosts. Although the presence of Candida cells does not affect the health of most human hosts, if the host’s immune system is compromised, C. albicans can cause a range of human diseases, from non-life threatening vaginal or oral infections to severe bloodstream and internal organ infections that are often fatal. The ability of C. albicans to switch growth forms between circular yeast cells and elongated hyphal cells is required for virulence in animal models, indicating the importance of studying all mechanisms involved in these transitions. Hyphal cells form by directional growth at one end of a “mother” cell and hyphae contain a specific set of proteins required for invading host cells and tissues. Different models can explain how such proteins are found where they need to function. For example, some proteins may be made in the mother cell and then transported long distances into the hypha. A more efficient possibility, however, is that a messenger RNAs (mRNA) that contains the code that directs synthesis of a hyphal protein could be moved from the mother cell into the hypha, allowing local synthesis of multiple copies of the protein from a single mRNA, precisely where the protein is needed in the cell. Our long-term goal is therefore to understand how mRNAs are transported in C. albicans hyphae and how localized protein synthesis affects hyphal growth, function and virulence. Our work focuses on an RNA-binding protein named Slr1, which is important for proper hyphal formation and which accelerates disease progression in an animal model of bloodstream infection. The objectives of current projects in the lab are: 1) to test whether Slr1 cooperates with a protein known to transport mRNAs to the hypha and 2) to identify new proteins involved in hyphal mRNA transport that affect C. albicans hyphal formation and function. Our research is supported by a Research Training Faculty grant through Maine INBRE (IDeA Network of Biomedical Research Excellence, which is in turn supported by a grant from the National Institutes of Health/National Institute of General Medical Sciences). This Spring Break, Prof. McBride will be offering a week-long research experience for up to 12 Bowdoin students at the Mount Desert Island Biology Laboratory (MDIBL) in Salisbury Cove, Maine. Students will collaborate with Prof. McBride on research to understand mechanisms of mRNA transport in the medically relevant yeast Candida albicans and will be introduced to techniques such as protein purification, quantitative PCR and bioinformatics. 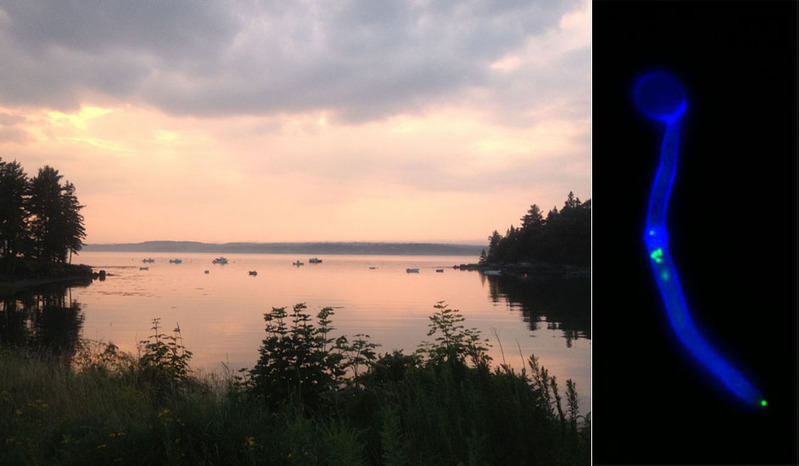 We’ll also find some time to visit Bar Harbor or Acadia National Park just down the road from the lab. We will drive from Bowdoin to Mount Desert Island leaving at noon on Saturday, March 17 and return to campus on Friday, March 23. To allow flexibility in travel planning, members of the research team can arrive at Bowdoin either on Saturday morning or on Friday, March 16. Yes! All expenses will be paid, including travel between Brunswick and Mount Desert Island, research supplies, and room and board. This opportunity is open to all students who have taken either a 2000-level biology or biochemistry course, with preference given to students who have taken (or are taking in Spring semester 2018) a cell/molecular level biology or biochemistry class (i.e. Genetics and Molecular Biology, Microbiology, Biochemistry and Cell Biology, Biochemistry of Cellular Processes, Neurobiology, Developmental Biology, Biochemistry, Fundamentals of Biochemistry). What are the relevant deadlines for participation? All students who are interested in this trip should contact Prof. McBride by email before Thanksgiving Break. Please include a list of ≥2000-level biology and/or Biochemistry courses you have taken and are requesting/registered for in Spring 2018. 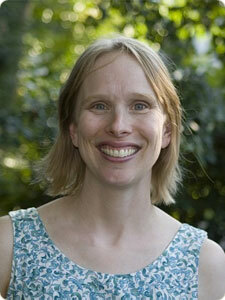 Prof. McBride will email all interested students with more details before winter break. Students invited to join the research team will be asked to confirm their participation by the end of the first week of classes in January. Students on the wait list will be informed of their status at the end of that week. Ariyachet C*, Beißel C, Li X*, Lorrey S*, Mackenzie O*, Martin PM*, O'Brien K*, Pholcharee T*, Sim S*, Krebber H, McBride AE. (2017) Post-translational modification directs nuclear and hyphal tip localization of Candida albicans mRNA-binding protein Slr1. Mol Microbiol. 104(3):499-519. Ariyachet C*, Solis NV, Liu Y, Prasadarao NV, Filler SG, McBride AE. (2013) SR-like RNA-binding protein Slr1 affects Candida albicans filamentation and virulence. Infect Immun. 81(4):1267-76. Young BD, Weiss DI, Zurita-Lopez CI, Webb KJ, Clarke SG, McBride AE. 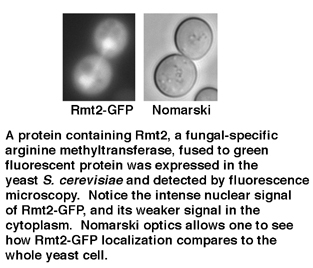 (2012) "Identification of methylated proteins in the yeast small ribosomal subunit: a role for SPOUT methyltransferases in protein arginine methylation." Biochemistry. 51(25):5091-104. McBride AE, Conboy AK*, Brown SP*, Ariyachet C*, Rutledge KL. (2009) "Specific sequences within arginine-glycine-rich domains affect mRNA-binding protein function." Nucleic Acids Res. 37(13):4322-30. McBride, AE, Zurita-Lopez, C, Regis, A, Blum, E, Conboy, A*, Elf, S* and Clarke, S (2007) “Protein arginine methylation in Candida albicans: role in nuclear transport.” Eukaryot Cell. 6(7): 1119-29. McBride, AE (2006) "Diverse roles of protein arginine methyltransferases” in “Protein Methyltransferases" The Enzymes Vol. XXIV, ed. S. Clarke and F. Tamanoi, Academic Press, pp. 51-103. McBride AE, Cook JT*, Stemmler EA, Rutledge KL, McGrath KA* and Rubens JA* (2005) "Arginine methylation of yeast mRNA-binding protein Npl3 directly affects its function, nuclear export, and intranuclear protein interactions." J Biol Chem 280(35):30888-98. Yu MC, Bachand F, McBride AE, Komili S, Casolari JM and Silver PA (2004) "Arginine methyltransferase affects interactions and recruitment of mRNA processing and export factors." Genes Dev 18(16):2024-35. Does mRNA overexpression affect protein location in Candida albicans? Insertion of an HA tag in HRP1 and THP2: investigation of protein-protein interactions. "Vaccination and the Fight against Infectious Disease"
Slides from a talk to the Association of Bowdoin Friends on Thursday, February 6, 2003.